I'm featured today at the blog of writer Sharon Lavy. Sharon and I have known each other for a while, and I have the honor of serving with her on the Operating Board of the American Christian Fiction Writers. I hope you'll drop by to read the post, and keep coming back to see what Sharon is serving up on a regular basis. I'm also privileged to have an interview posted on the blog of friend, fellow author and North Texas neighbor, Lena Nelson Dooley. Be sure to go there and leave a comment for a chance to win a free copy of my latest novel of medical suspense, Diagnosis Death. Some of you may notice in the next week or so that I'll be appearing on a number of blog sites. "Why's that?" you may ask. (Or you may not--but I'm going to tell you anyway). The average reader pictures an author as someone who sits in a room by himself/herself, pounding out prose on a computer while nameless minions around the world see to it that the books published as a result of that effort are brought to the attention of the reading public. Sorry, but unless your name is Tom Clancy or J K Rowling, that's not the case. For most of us mid-list writers, there are no minions. The minions are us. Sure, the publisher's marketing person will do their best to get the news out about each book, but they may be responsible for publicity on twenty or thirty such books in a year. Beyond those initial efforts, it's up to the authors. And one way is to promote name recognition through appearances like book signings and establishment of a presence on the Internet. Just as you'll see a Hollywood star attending a World Series game and being caught on camera before the release of their latest movie or a celebrity author dropping by David Letterman's show about the time their book is due out, we lesser mortals will crop up on your computer screen when we want you to be reminded of our presence. So now you know. But I still hope you'll drop by these two blogs and read what I have to say. And if you buy a copy of Diagnosis Death, that would be nice, as well. 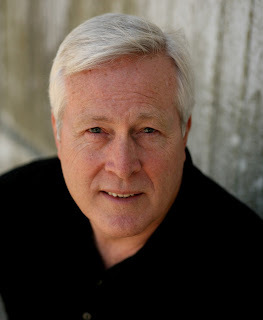 My friend and fellow author, Mark Young, has a fascinating background in law enforcement, and he shares his knowledge with writers and the public in general in his blog, Hook Em and Book Em. 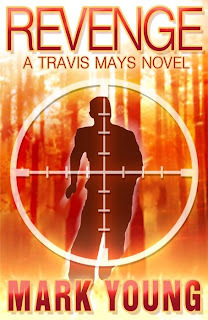 Recently, Mark chose to publish his novel, Revenge, as an e-book. I've asked Mark to share what brought him to this decision. Here's Mark. Self-publishing was never my goal when I started writing novels six years ago. Three novels later and a mounting collection of rejections slips finally changed my mind—it was time to evaluate my writing career. Last fall, I put pride aside and decided to look at what was once termed the “vanity press.” It was a very difficult decision to make. Like decades of writers before, I clutched tight to that dream that someday, somewhere, an agent or publisher might pick up my manuscripts and see potential wedged between the pages. That I would go the mail box and find a thick envelope—bearing an embossed publisher’s logo—bulging with a contract just waiting for my signature. So, last fall I sat down and took a hard look at my writing career. 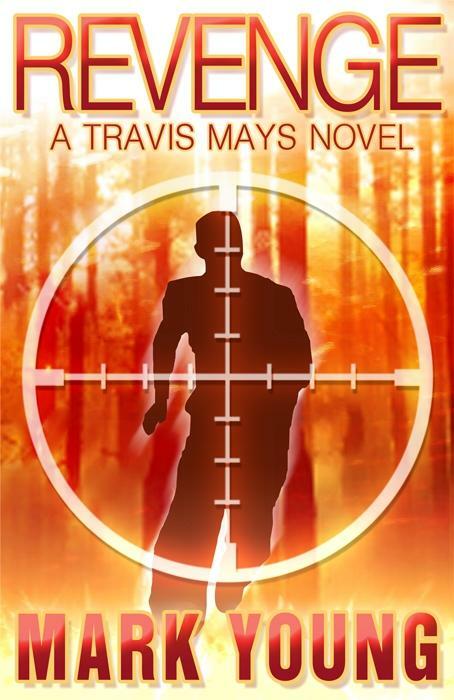 After a lot of soul searching, I finally decided to shed any last vestiges of vanity and began focusing on self-publishing my novel, Revenge: A Travis Mays Novel. In looking back, I realize there were four reasons that influenced my decision. First, I began reading blog posts from a couple of writers who wrote about self-publishing. Crime novelist Joe Konrath—on his blog, A Newbie’s Guide To Publishing—began chipping away at my wall of resistance with well-reasoned arguments, using facts and examples to show how the current publishing paradigm has shifted. Konrath persuasively argued that authors might be successful through self-publishing if they were willing to take matters into their own hands and work diligently to get the word out. He recognizes that some writers might not be up for the task, and that those who choose this route must first have a well-crafted novel to offer, followed by good editing, formatting, and cover design. Once this is in place, authors need to be willing to get out there and promote their work. Coupled with this, Konrath insisted it made economic sense for authors to self-publish, drawing comparisons between traditionally published and self-published work where it really matters—the pocketbook. Another writer—a young man named Aaron Patterson, posting his own blog, The Worst Book Ever—caught my attention in my search for self publishers. Patterson slaved in construction work for a number of years while trying to get his work published. He finally launched out on his own, co-founding Stonehouse Ink Publishing, an imprint of Ampeton Publishing, while publishing his own novels in both eBook and print formats. Secondly, I made a personal goal when I started writing novels that I would strive to be published within five years. This do-or-die publishing deadline loomed a few months away. So I took stock of my writing, knowing that I had little chance of meeting my goal. Self-publishing, however, was a means of meeting this goal. 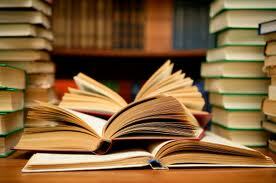 Thirdly, I began watching developments within the publishing industry over the last couple of years. Several acquisition editors I met at various writing conferences were suddenly without a job. One editor—who liked my last project and took it in-house for consideration—was laid off right after I submitted my proposal. I began looking around and found that a number of other editors and publishing representatives found themselves without jobs, going freelance in order to survive. An industry known for its uncertain job security suddenly seemed more volatile and shaky. Fewer new authors seemed to be able to cross over that threshold of publishing acceptance, and even some of the midlist authors with many books under their belts found themselves without a contract or learning their existing contracts would not be renewed. Traditional publishers seemed to be tightening their belts as tough economic times loomed ahead. It seemed more and more publishing employees were finding themselves out on the street looking for a job. Lastly, my wonderful wife finally broke through my thick skull and persuaded me that self-publishing is a viable goal. She has always been a strong supporter, encouraging me to keep trying when one novel after another got a thumbs down. I can read your thoughts right now. You’re thinking .. okay, his wife is not actually unbiased when it comes to how well this clown can write. She’ll say anything to make him happy. You don’t know Katie. She loves me, but she never sugarcoats anything that needs to be addressed—including my writing. You ought to see some of the edits she penciled on my manuscripts—there is more red dripping from each page than blood in a Chicago slaughterhouse. Speaking of the Windy City, Katie was raised in Chicago—her first real job at that city’s citadel of publishing, The Chicago Tribune—and she ran her own card-publishing company for years. She attended her first writing conference armed with a handful of greeting card gift books and walked away with a publishing offer. (Yes, she is one of the few that finally made it into the traditional publishing world, a feat she’ll gently remind me when pride swells my head). Katie urged me to self-publish. I listened. So, a month ago I released my first novel as an eBook through online publishers Amazon, Barnes & Noble, and Smashwords. A print book will be coming out in the next month from Amazon’ imprint, CreateSpace. A self-published author can choose many routes to get their work out there. Some companies—like Aaron Patterson’s Stonehouse Ink company—will walk you through the process with their in-house assistance. Other authors choose to put their own publications together, contracting outside help from editors, formatters, and cover design specialists. This latter route is the way I chose to travel. I also chose to handle my own marketing and advertising efforts, although authors may also choose to contract out for these services. Can self-published authors actually sell books? Let me get back to you on that in a couple of years. I have been in business for a little more than one month. Each day I check how many books have sold over the last twenty-four hours. Let’s just say that Revenge is a long way from Amazon’s Top 100 bestsellers. That’s okay, because we self-publishers have to be in this for the long haul. The more novels an author can offer to the public, the more sales numbers rise. The digital highway is funny that way—the more paths created, the more books sold. Lord willing, I hope to have one more novel published this December, and at least two more next year. I don’t have to wait eighteen months to two years for my next novel to reach readers, like authors working with traditional publishers. Once formatted and launched, eBooks can be available within forty-eight hours and Publish On Demand print books within a few weeks. Another advantage self-published eBook sales have over traditionally published novels is that our works will be out there … forever. We are not facing a six-month shelf life before our books disappear into some black void. And—if Konrath’s figures are correct—eBooks that are well crafted, well formatted, well designed and properly publicized tend to rise in sales over time. It has yet to be determined how long eBook sales will rise or how many books will be sold, but I believe these sales will continue long after print books are taken off the bookshelves. At least that is what I have been told. There are drawbacks. Self-published authors will generally never see their books on the shelves of brick-and-mortar shelves, nor will their novels be recognized by major book reviewers. There may always be that stigma borne by self-published authors that their books are not really of the same caliber as traditionally published works. That they did not earn literary recognitions enjoyed by those published by traditional houses. So be it. The recognition I really seek is to hear from readers that they enjoyed my novel. That they could not put it down. That they told a friend about it. This is music to my ears—and I don’t mind using clichés to describe this. It tells me that someone out there enjoyed living in my made-up world for a while, that they were drawn to the characters that emerged on the pages of my novel. It is those readers that I really care about—not all the other stuff that I might have gained through traditional houses. I have been a success if my readers were swept up into this world we call fiction, moved and touched by those characters that crept into each scene. It is those readers I strive to please. In the last month, I am starting to hear back from these readers. It has made all the difference for me as a writer. After six years of silence, I am starting to hear the music of praise, excitement and constructive criticism. What a rush! There is one more thing that I have enjoyed about this self-publishing journey. I no longer need to worry about unlocking my mailbox or clicking my email open to find another rejection slip dampening my day. Now, if one of the Big Six publishers sends a tempting offer my way, I just might have to sit back down and contemplate my writing career again. But not today. Right now, I need to get back to my WIP titled Off the Grid. I left my main character sitting in a mansion in a little town in Yorkshire, England. He is about to face extreme danger and I can’t wait to see whether he survives. Is self-publishing right for you? Each writer must answer this for themselves. I can only share my own journey with you. As my friend and writing mentor—James Scott Bell—once told me, “See ya on the shelf.” Digital, that is. When the last out of the World Series was recorded and my Texas Rangers ended up being second-best, as a loyal fan I had two thoughts: "There were a bunch of other teams that didn't make it this far," and "Just a few months until Spring Training." Baseball spring training brings with it a sense of optimism, for fans and players alike. Maybe your team finished in the cellar last year, but this year it'll be different. Rookies with no hope of making the major league roster still get to rub elbows with stars and enjoy--for a while--the benefits of a big league training facility and clubhouse. While they dream of getting called up to "The Show" they can hone their skills and show their stuff to the manager, hoping that their time in Oklahoma City or Round Rock will end with a call into the manager's office and the words, "Pack your stuff kid. They want you with the Big Club." Writing can be a perpetual spring training of sorts. As a member of the International Thriller Writers, I can attend the convention and rub elbows with Lee Child and James Patterson. At meetings of the American Christian Fiction Writers, I can sit at the same lunch table with well-known, multi-published authors. I can dream of the call from my agent telling me that my proposal has been accepted by a major publishing house, and I'm on my way to "The Show." And if that never comes, there's always next year. Note: The recent post by James Scott Bell on e-publishing generated a number of comments. Be sure to come back on Friday when author Mark Young shares the reasons why he e-published. My memories of television go back to the early '50's, when my father, who at the time was in the appliance and electronics business, brought home a little black-and-white set. I watched as he and my uncle erected a triangular metal tower outside our house and put a gizmo they called a TV antenna atop it. Dad even installed a remotely-controlled motor that would turn the antenna to get the best reception, because, of the three stations we could get, one was in Fort Worth and two were in Dallas. 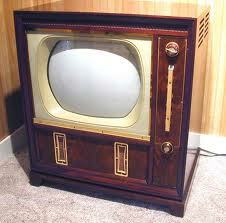 I remember the responsibility I felt when Dad let me turn the knob to fine-tune the reception by rotating the antenna. It was fascinating to watch the test pattern (a circle with lots of bars and stripes, and the profile of a Native American in the center) suddenly switch to live programming when a station came on the air, generally about noon. And I can still remember getting to stay up late and hear the announcer say, "This station now ends its broadcasting day," see the picture of a waving American flag, and listen to the stirring strains of the Star Spangled Banner played by a full band. That was then and this is now. Now we have high-definition television sets in living color, with hundreds of channels giving us programming 24/7/365. But progress continues. Now people are watching videos on their smart phones and having movies streamed to their sets by NetFlix. In the '50's, we thought it was futuristic to imagine people talking with each other on devices that let each person see the other. Now we have Skype and video conferencing and goodness knows what's next. Why do I bring this up? There's been so much talk among writers lately about e-books, whether they're going to replace print volumes, whether they're good or bad, it made me think. Progress is inevitable. What we had a hard time envisioning a couple of decades ago will soon become commonplace. And just maybe, in some cases at least, "new" and "improved" can be synonymous. I'll close with my favorite quote from TV's obsessive-compulsive detective, Adrian Monk: "I don't mind change. I just don't like being around when it happens." But ready or not, it comes. This past week I visited the Church Librarians Convention of the Baptist General Convention of Texas. The meeting encompassed two and a half days, and some excellent material was presented. I was only able to be there for about a half-day, but it was an eye-opening experience. I was especially taken with the idea that some churches are moving toward having e-books that can be checked out onto a person's e-reader. By using a program that I don't fully understand (like a lot of technology), the books are good for two weeks, and after that they disappear from the reader. No overdue books. No fines. No fuss, no muss, no bother. Church libraries are moving forward in the information age. And I applaud that. In the midst of a lot of positives, I was brought up short by one conversation at the convention, this one with a very nice and very knowledgeable librarian from one of the largest churches represented there. The church is engaged in a multi-million dollar building program, and when the librarian was allowed to see some of the plans, the first question was "Where is the library?" The answer? "Well, a lot of churches are doing away with their libraries, and we thought the space could be better used in another way." Maybe that's true. Maybe churches are moving away from having a library. And maybe I'm showing my age. But I still think there are a lot of positives to having a church library. What do you think? Does your church have a library? And do you support it? Let me know what you think. When we say, "library," most of us think of the public library. We tend to forget that many churches have libraries as well. The selection of books there may not be as great as you'll find at the public library, but, on the other hand, you don't have to worry that your children will open the book you check out from the church library, point to a particularly embarrassing word, and ask, "What does this mean?" 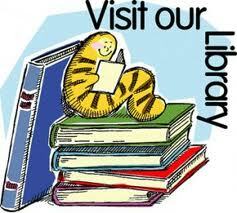 Church libraries, like church members, come in all sizes and shapes. The church of which I'm a member only opened its library a few months ago. It's moderate in size, cozy and welcoming in its configuration, and is already getting a significant amount of traffic. I donated copies of my books to it, and when the waiting list for them became too long, donated a second copy of each. It seemed a great way to introduce new readers to my writing. I'm about to do a signing at a convention for church librarians, and I'm looking forward to it. 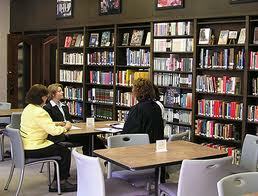 Librarians are an author's best friends. They love books, they love people who read books, and they love those who write them as well. When someone asks their church librarian for a recommendation, I want them to say, "Well, I know this author who writes Christian medical fiction. I liked his books. I think you will, too." The next time you're looking for a book to read, don't forget to check out your church library. And smile at the librarian while you're there. Tell him or her you appreciate their work. It'll make both of you feel good. It's nice to get away--away from the everyday problems that we face each morning when the alarm clock or our internal alarm rouses us, away from the pressures that surround us, away from the workaday world that never seems to ease its grip on us. Sometimes that getaway is a day trip, sometimes it lasts longer. My golf partner/lawyer friend, Jerry Gilmore, tells me of a law firm that gave its partners a sabbatical, giving them a year away from the firm after a certain length of time. They had to stop, because too many of the partners decided to retire rather than return. The story may be apocryphal, but it speaks to the question we hear from time to time: "What would you do if you won the lottery?" Would you continue working? The immediate response of most of us is a resounding "No!" But is that true? When I was practicing medicine, the pressure could be tremendous. But there were rewards far beyond any financial ones (and, contrary to popular belief, there are doctors--myself included--who don't get rich in the profession). And, truthfully, a win in the lottery wouldn't have kept me from going back to the office. Now that I'm retired, my time is taken up with the everyday stuff of life, including grandparenting and golf, two activities I enjoy. I also write. I've had three books published already (one non-fiction, two novels), another about to come out April 1 and yet another novel due for release Sept 1. I certainly don't write for the money. My friend, James Scott Bell, says most of us could make more money as a greeter at Wal-Mart than we do writing. I write because it's fascinating to weave a story out of whole cloth. I write because I "can't not write." 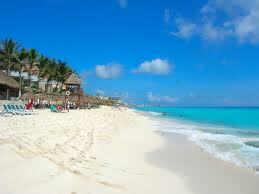 We had a vacation recently in Cancun, relaxing with friends and enjoying the sun. Did I take my laptop with me? Of course. And did I write? You bet. What about you? Do you long for some time away? And would you return to work afterward? I have to confess that I'm not perfect. I have a chronic rotator cuff problem that began with years of pitching a baseball and was finished off by a fall on my outstretched arm a couple of years ago. But, thanks to a group of talented and dedicated physical therapists, I was able to get past the pain and limitation of motion and regain pretty much all my function. They gave me a series of exercises to do, and for a while I carried them out, if not regularly at least most of the time. But since I'm human (second confession in this post of my imperfections), I began to slack off. And soon the Thera-Band and exercise sheet sat gathering dust in my office. Then one day I picked up something heavy--don't even recall what it was--and something in my shoulder went "Oh, you shouldn't have done that." After a couple of days of Aleve didn't fully relieve the problem, I went back to my stretches and exercises, and eventually things calmed down. Lesson: use it or lose it. Writers have the same problem. After I turned in my last novel, I started another, then decided to take a break from writing. That few days turned into a few weeks. When I finally returned to writing, I discovered that I had to go back and re-read what I'd previously written, edit it a bit, and in general re-tone my writing muscles before I could get going. Lesson: use it or lose it. What is in your life that threatens to atrophy if you let it lie dormant? Whatever it is, I hope you won't let it go too long. Otherwise... Well, you get the idea. 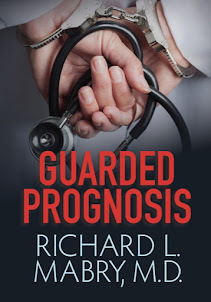 I'm a retired physician, so I'm always hearing this comment from my readers: "I guess you don't have to do much research about the medical parts of your novels." Like so many other perceptions about the writing life, that one is wrong. My specialty for thirty-six years was rhinology: nasal and sinus problems, surgery to correct them, medical management including allergy testing and treatment. 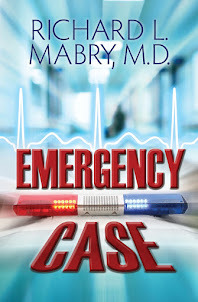 Since none of my characters have that specialty, I research every medical scene and scenario in all my books. And even then I don't always get it right. 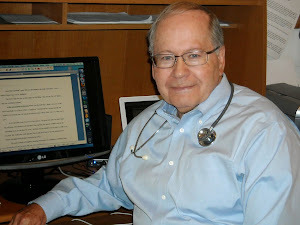 My colleague, author Dr. Harry Krause, read my last book prior to endorsing it and pointed out an error I'd made in the treatment of congestive heart failure. I corrected the error, and thanked Harry. In a recent review of a book already in print, another reader pointed out a legal ramification I hadn't even considered. However much research you do, sometimes it's not enough. I love the novels of John Grisham. He's an attorney (though no longer practicing), so when he writes about legal situations I accept what he sets forth as accurate. One of his books, The Broker, isn't a legal thriller. Rather, the central character is a disgraced power broker from Washington who's freed from jail via a Presidential pardon and hustled off to Italy to start his life over. I remember reading that Grisham has spent a significant amount of time in Italy, and the descriptions in this book are sometimes as detailed as in a travel guide. I enjoyed them and had no basis for questioning them. I enjoyed the Italian setting so much I decided to re-read his little book, Playing For Pizza, about a third-string pro football quarterback who ends up playing in Italy when his career crashes. I hadn't gotten three pages in before I found a place where Grisham didn't do his homework. The player is in the hospital after a severe head injury with concussion. He's in pain, so the nurse puts Vicodin in his IV. Wrong on two counts. If he's recovering from a head injury, they'd be pretty careful about administering narcotics. Besides that, there's no IV form of Vicodin (although some addicts have been known to crush the tablets and shoot up)! I'm not sure why or how Grisham let this slip. A phone call to a friend in the medical profession would have prevented the mistake. Does this mean I'll stop reading his books? Absolutely not. But it does make me want to be even more diligent in my own research. Because errors in a novel are a turn-off to some readers. And if a New York Times best-selling author can make them, a small-time author of medical suspense fiction can, too.